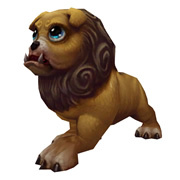 Purchasing the MoP Digital Deluxe rewards the pet Lucky Quilen Cub. If you haven't collected this pet yet, this is your best chance! Although the Digital Deluxe is being shelved in the near future, players will still be able to obtain the pet by purchasing the MoP Collector's Edition. The CE version of the game can be found on various auction websites in limited quantity.